The Royal Academy traces its history back to 1768 when it was founded by a group of prominent artists including Joshua Reynolds. Its original aim to was offer art tuition to promising artists in a number of fields, including painting and sculpture. The RA's headquarters is the lovely neo-classical building of Burlington House on Picadilly. The house is arranged around a central courtyard, entered through a lovely sculptured gateway arch. 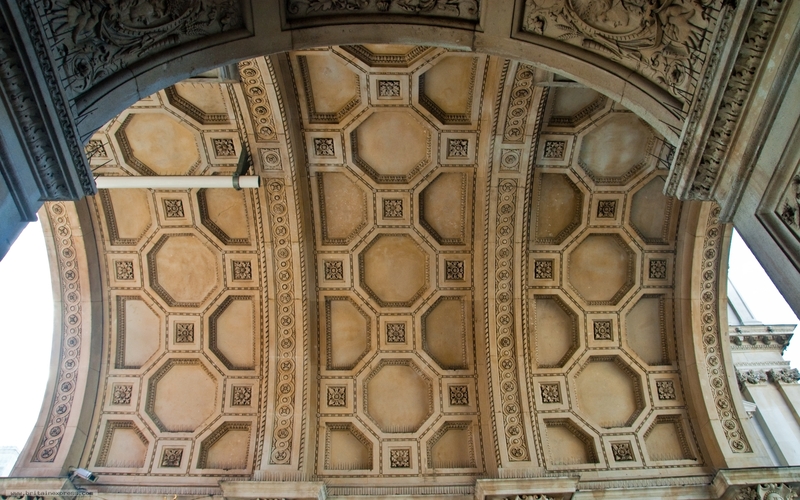 This is the underside of the arch, decorated in grand Palladian style.